Angela Louise Watts, born to Bill and Clara Leuenberger on April 25, 1933 in Ossian, Iowa, joined our Lord on April 4, 2019. She was an active volunteer at the Mimbres Hospital in Deming and a proud member of the Red Hats. Angie served as the assistant in charge of special events at Deming Luna Mimbres Museum, where she and her husband have been honored as volunteers of the year. Angie was an accomplished seamstress. Her friends would also agree she was the card player extraordinaire saying if there was a card game in town, she would know about it. Angie was preceded in death by her parents, Bill and Clara Leuenberger and brother, Cletus Leuenberger. She was survived by her loving husband Leo Watts of 66 years; brother, Bob Leuenberger (Velma); and sister, Sr. Millie Leuenberger. She was also survived by her sons, Steve, Mike, and Dale Watts and her daughter Cindy Smith (Tim). 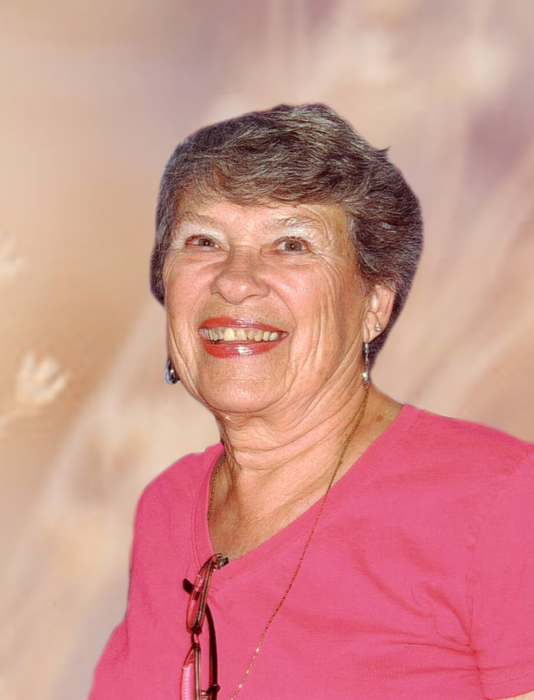 A celebration of life will be held at St. Ann's Catholic Church in Deming, NM on Thursday April 11, 2019 at 11:00 am. Concluding services and inurnment will follow at Mountain View Cemetery. Fr. Manuel F. Ibarra will officiate. Cremation entrusted to Baca’s Mimbres Crematory. Donations may be made in Angie's memory to the Mimbres Luna Museum 301 S. Silver Ave. Deming, New Mexico 88030.